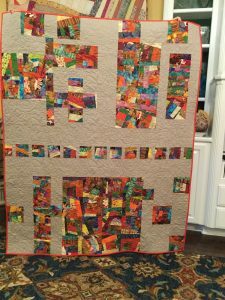 This is a quilt top I found in a closet recently. I made it two years ago as I did not make anything for fall season last year after Hurricane Harvey. 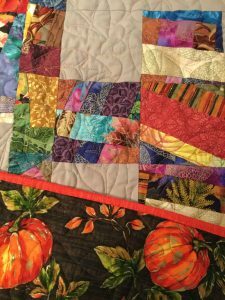 I brought it out quilted it and am calling it Autumn Surprise. 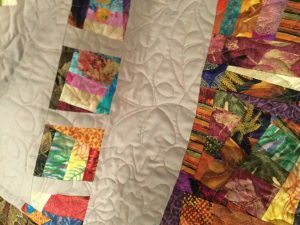 Here is a close up of the leaf quilting done with variegated thread. And here is another close up and showing a little of the backing fabric.